If you have ever watched a UFC fight on TV you have sees the fighters preparing for their entrance to the octagon and their “Walk Out” song is blaring over the loud speakers to get them in the right frame of mind for the job at hand. Examples include “Eye of the Tiger” and “A Country Boy Can Survive” depending on the personality of the individual. Additionally, if you watch the pregame warm ups of college or professional football players, many athletes will have their iPods attached to their hip listening to their favorite music…whether that is calming/soothing music to settle nerves or intense jams to set the tone for the game, most people utilize some form of audio stimulation prior to a competition. In the CrossFit community there are different takes on this as well. Some boxes blare music while other locations keep it quiet. From hip-hop to heavy metal, the right tune can make the WOD that much more intense and easier to complete. We have the finals of the Fight Gone Bad challenge coming up on Saturday. In preparation for this challenge, do you have a favorite tune on your playlist that gets the adrenaline flowing? We would like to expand our selection of tunes and need some input. 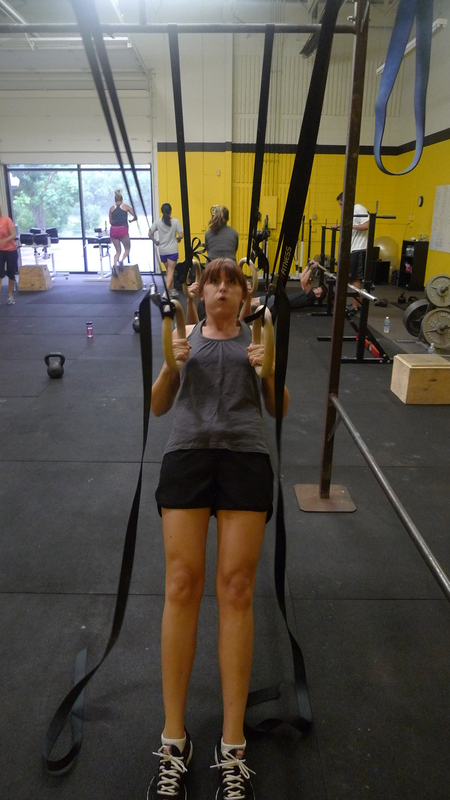 As a sneak peek, an epic playlist will be put together for the 6:30 p.m. OLY class on Thursday for a few individuals who are going to be out of town on Saturday but will be jamming out for the FGB challenge a few days early. What would be playing over the speakers if you were walking into the arena to compete? You have prepared physically over the last few weeks for this upcoming Saturday…what music or artist gets you prepared for the 3…2…1…GO? 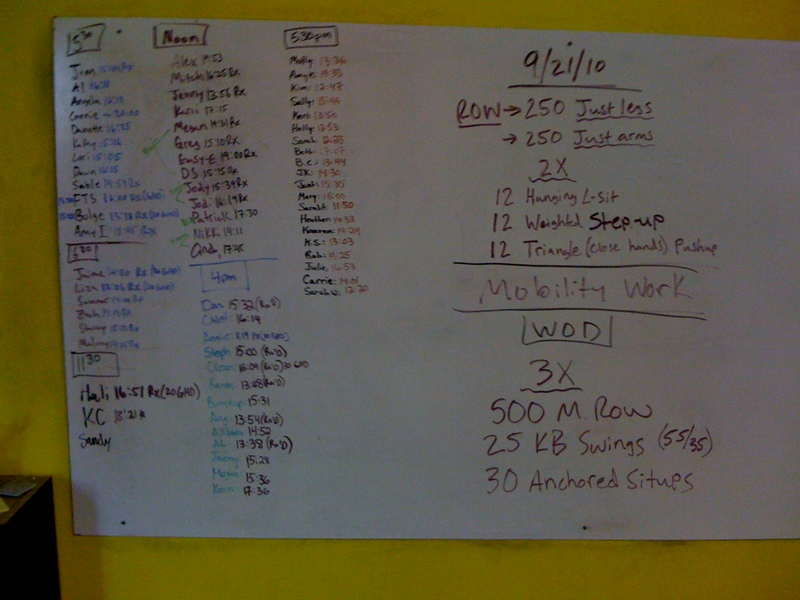 This entry was posted on September 21, 2010 at 12:39 pm and is filed under Crossfit Philosophy. You can follow any responses to this entry through the RSS 2.0 feed. You can leave a response, or trackback from your own site. GodSmack has some pretty good “giddy up” tunes. of course i will ALWAYS suggest my Iowegian brothers of metal mixin’ mayhem (that was good alliteration)….SlipKnot! Red Hot Chili’s have a good funky vib to ’em just to keep things a little bit lighter and also to keep an upbeat tempo during the workout. just some ideas off the top of my head…. Anything ny emenim!! And I agree- we need some new tunes. And turn it up!! Ride to California by Paper Tongues…. I always thought we should have like an 80’s week. Any song from any Rocky movie, or You’re the best from”the Karate Kid”. Any song from a training montage in a movie would be awesome, or awesomely bad.